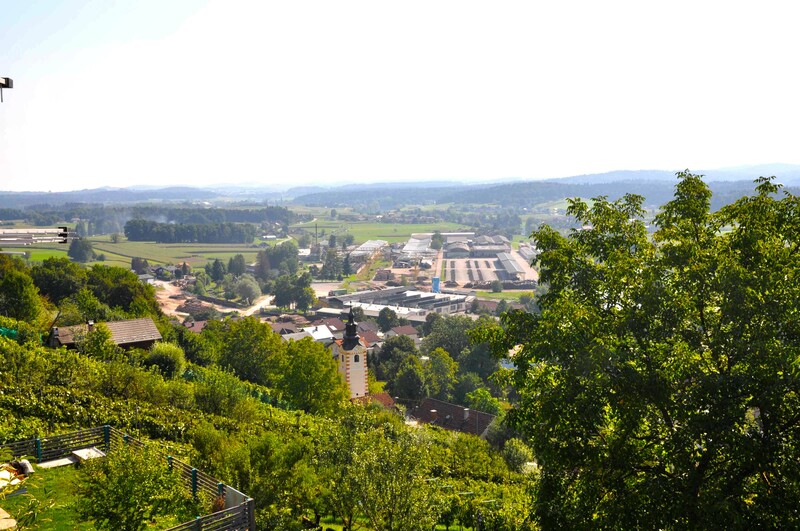 Vineyard Krštinc (109m2) – is located among the vineyards hill above the river Krka and between Novo mesto and Dolenjske Spa. In the basement cottages Krštinc is the kitchen (wood stove, el. 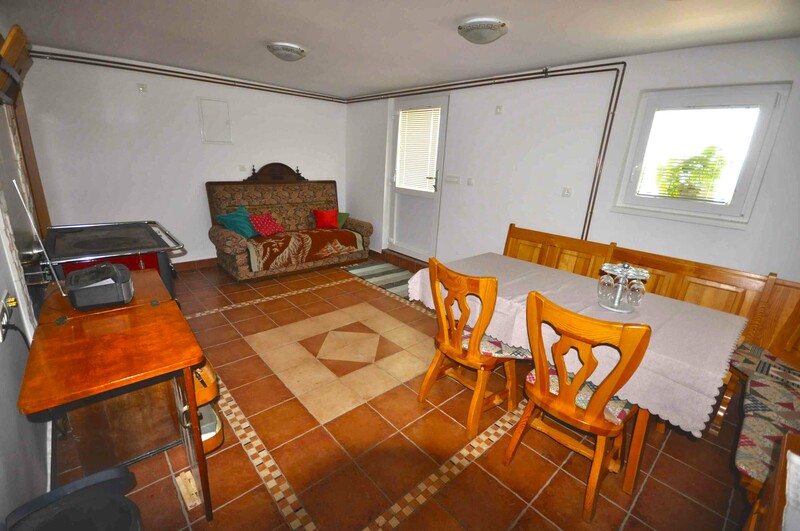 cooker and oven, refrigerator, dishwasher), dining room for 8 persons and sofa. 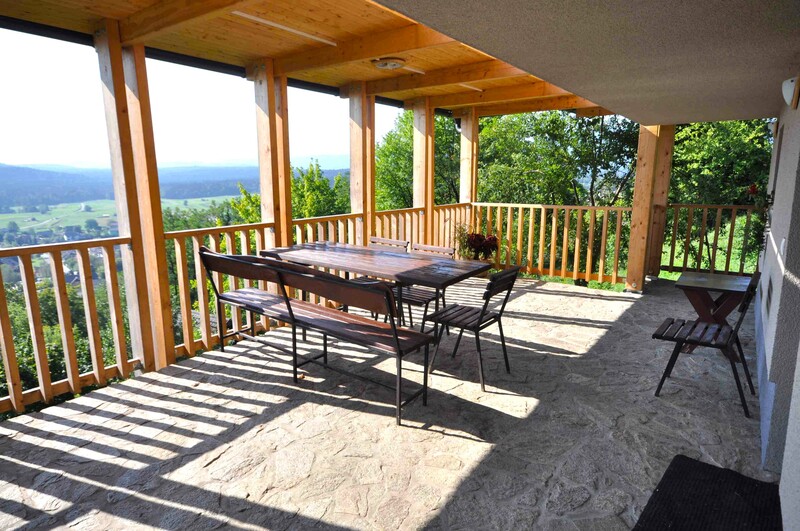 The entrance from the basement is a covered terrace from which a beautiful view of the guards, Novo mesto, the Krka river, Gorjanci and Kočevski Rog. In the outdoor fireplace on the terrace you can also prepare grilled dishes. 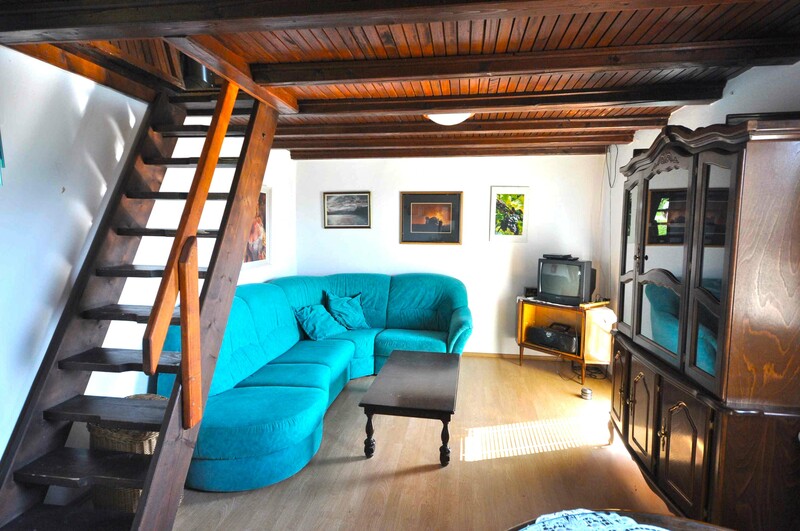 In the middle floor is bedroom with a double bed, bathroom, living room with a sofa, a table for 6 persons and TV. The living room has an exit to the balcony. 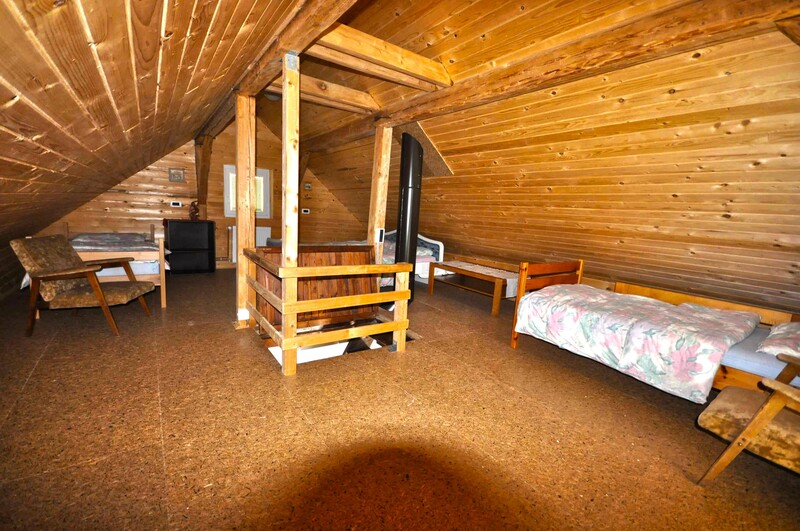 The attic is arranged as a single room with a double bed and two independent beds. From the attic it is also output on the wooden balcony. Heating cottages with independent central wood-burning or in the electric central stove. Vineyard is equipped with wireless Internet access. Welcome: homemade bread and vine cviček.